We’re living in the midst of a technological explosion, surrounded by a skyrocketing number of screens in a rapidly growing array of shapes and sizes. For anyone who operates a website, it’s more important than ever to make sure your site looks great no matter the dimensions of the display it’s being viewed upon. In the not too distant past, Web designers had to painstakingly develop multiple versions of their sites from the ground up, each one tailored to render properly on different devices with varying screen sizes. 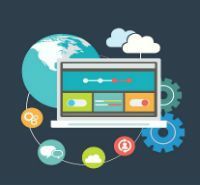 Fortunately, modern website builders are now able to harness the latest advancements in Web technology to create singular sites that look exactly as intended wherever they’re viewed. 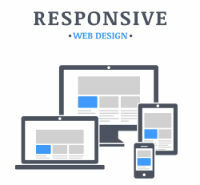 This type of design technology, known as responsive design, is quickly becoming a must-have feature for all websites. But not every website builder has adapted to this design movement. Many webmasters are curious to find out if Wix, one of the world’s most popular website builders, dynamically reformats websites built on its platform relative to the size screen they’re being viewed upon. So what’s the answer? Are Wix websites responsive? The answer’s not as cut and dried as you might think. 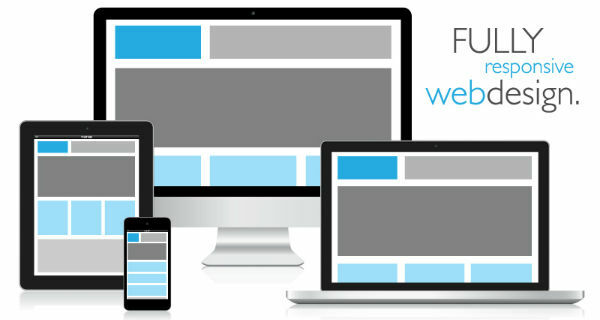 Does Wix Responsive Web Design Exist? Although Wix offers several appealing options to ensure that websites built using its platform look good and work well on desktop computers and mobile devices alike, the company does not offer templates or themes that truly employ responsive design as it’s known today. While Wix will automatically convert a website's design, content, and integrated apps into a version that’s lends itself toward mobile browsing, the onus is on the user to tweak the more acute aspects of their site design, and create an authentically optimized experience for end-users. Wix websites will not automatically adjust to different screen sizes, and instead require webmasters use both a desktop and a mobile editor to ensure that their sites look just as they were meant to on any size screen. The Wix Mobile Editor allows Wix customers to alter the design, remove unnecessary content, and otherwise adjust the mobile view of their website, without interfering with the desktop version. This is handled automatically with true responsive design websites, so bear in mind that Wix websites need to be manually optimized for viewing on mobile devices. The good news is that it’s easy to optimize a Wix website for mobile viewing, so long as you don’t mind spending a few minutes tweaking your content with the Mobile Editor. 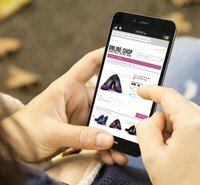 How Does the Wix Mobile Editor Work? While logged into the Wix platform, it’s easy to switch between the Mobile and Desktop Editors that Wix provides. It’s important to note, though, that while changes made using the Desktop Editor are instantaneously mirrored in the Mobile Editor, this is not conversely true: Any edits made using the Mobile Editor will not affect how your site displays on desktops. Another important aspect of this editing process is the adjustment of various Web elements to adhere to the predetermined borders and guidelines of the template at the foundation of your site. It’s recommended that you manipulate these parts of your website carefully to achieve the proper proportions in your layout. To assist in the process, the Wix Mobile Editor will allow you to see what your site looks like on various screen sizes, helping you find the best arrangement for your content. Even with the lack of Wix responsive templates and Wix responsive themes, the platform does still make it easy to build an attractive, professional website that looks great on nearly any size screen. And the additional tweaking that’s required to optimize the mobile version of your site might seem like a drawback, but in truth it gives you more granular control when compared to leaving it up to a platform to rearrange your content on its own. So even though Wix responsive design websites don’t actually exist, the platform is still worthy of consideration for your business or personal project. You will still be able to fashion a work-around that allows your site to adjust to any device it’s being used on, and Wix’s overall ease of use is a big benefit. 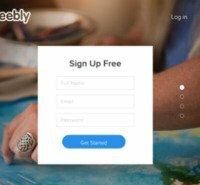 Not sure which website builder is best for you? Make that decision easier by finding out how Wix compares to GoDaddy.